Recently, Huawei (华为) and China Telecom (中国电信) cooperates and achieves the 5G Standalone (SA) networking, which is the first successful application of 5G SA interconnection in the world. 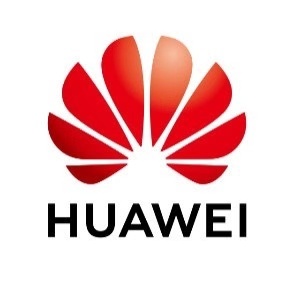 February 8, 2019 /EqualOcean/ - Recently, Huawei (华为) and China Telecom (中国电信) cooperated and achieved the 5G Standalone (SA) networking, according to China's information and communication technology media C114. This is the first successful application of 5G SA interconnection in the world, which can promote the future development of 5G SA networking application in China. As China has seized the opportunity to apply the 5G SA networking application first, it is interesting to see how much can China's 5G technology help other countries with their 5G development in the future. As the third largest smartphone company after Apple and Samsung, Huawei is famous for its well-designed smartphones and leading technology in chips. 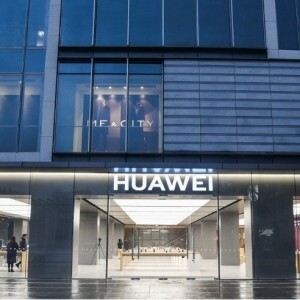 With the 5G era approaching, Huawei keeps expanding its 5G technology application both worldwide and domestic, and this Chinese leading smartphone company has recently set up a cybersecurity center in Poland which is welcomed by the european country as reported by EqualOcean. What is the reason which makes Huawei the new star worldwide? The answer is, the support from China on its leading technology. Under the support of Chinese government, 5G is going to be the next trend in China. Huawei is cooperating with China’s big communication service suppliers and applying its 5G technology. The successful applications of technology which hit the world record could give more chance for Huawei to expand its 5G market worldwide. Huawei provides its 5G technology and cooperates for the first successful application of SA interconnection test with China Telecom. Followed the standard of 3GPP, Huawei provided the 5G technology and passed the test connecting with the other smartphones through SA networking. This is one step closer to the application of 5G commercialization. 5G SA networking can connect the 5G technology and standards with the previous LTE constructions. Applied with the service framework similar to the IT system, 5G has more network element functions than 4G. This difference brings more challenges for 5G interconnection of different mobile phones. The challenges are big, and the expectation is worthwhile. Supported with the latest SA method, the 5G SA interconnection could take another step forward towards 5G commercialization. This application is practical and is good for both parties. The successful test on 5G SA networking interconnection marks futher application of 5G technology application on the 5G networking construction, as Huawei cooperates with China Mobile for NSA (Non-standalone) networking end to end test on February 1. That means Huawei has the ability to support 5G NSA network with the support of end to end 5G network and construction, and the technology of interconnection under 5G NSA network. On the technology's side, SA is to build the end to end 5G network, whilst NSA refers to the co-networking of 5G and LTE. To be more specific, SA adopts the end to end framework, then the terminal, new wireless interface technology and the core network are directly applied to the 5G standard. Aside from pure 5G construction, NSA otherwise dual connect the LTE and 5G, which is normally called the tight-networking of LTE and 5G in the communication industry. The tight-networking have multiple choices to connect LTE and 5G, for example, the core network can be applied with different methods like EPC and NGC, and the combining logics are totally different. On the commecialization side, the applications of infrastructure are totally different as well. Combining with LTE network, NSA can directly use the 4G base station and upgrade it to adapt with 5G network, which could save money and time for the construction. However, the lag of LTE and 5G may cause the difficulty of 5G upgrade. On the other hand, it is obvious that applying with SA network means the supplier should build new 5G base stations. This may cost more in a short period of time, but the constructions could fit 5G technology perfectly, which could minimize the risk of 5G application in the long run. Huawei keeps moving and leads the trend in 5G, it is looking forward to Huawei being the next leader in the 5G era?